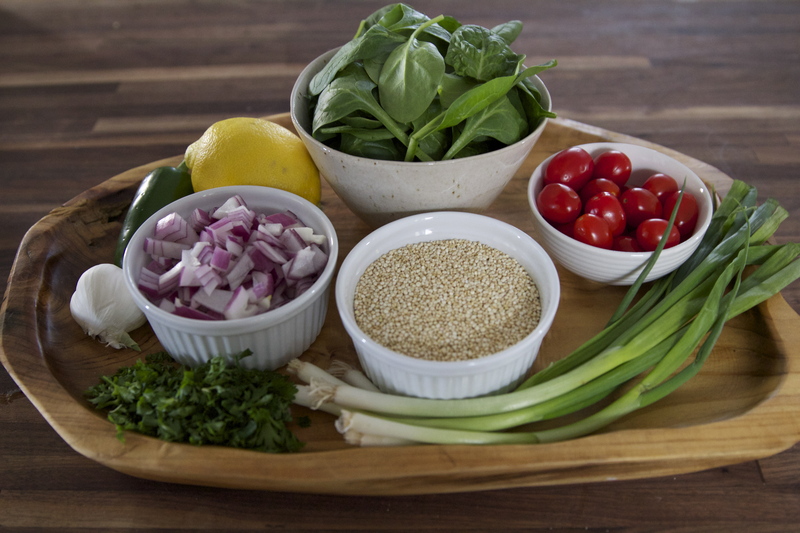 I am always trying to come up with a quick and easy dish that is satisfying yet healthy and I think I finally came up with something worth sharing. 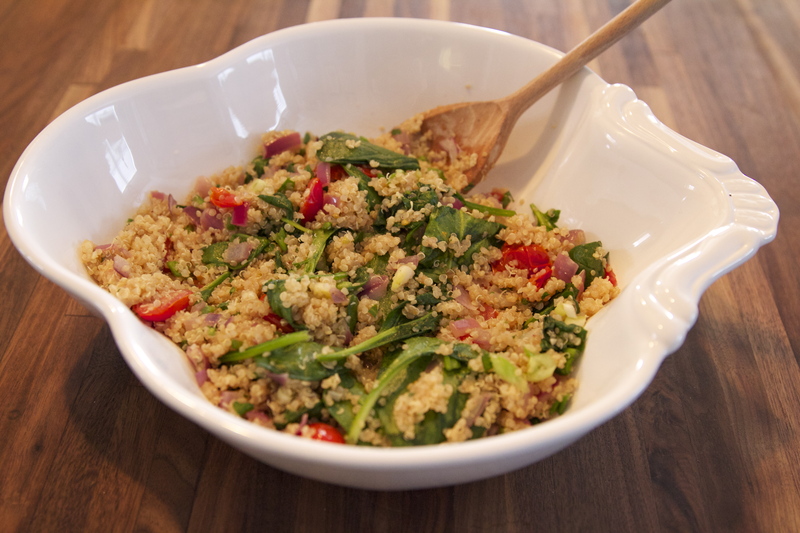 This dish is healthy, full of fiber, vegan, non-dairy and gluten free so it’s great for those with even the most restrictive diets. You can serve this alone or paired with a salmon filet or a protein of your choice. I think the man in your life may even approve of this dish and hopefully not just for its superstitious game day quality (if you don’t know what I am talking about watch this video). I hope you enjoy this warm salad as much as I have! 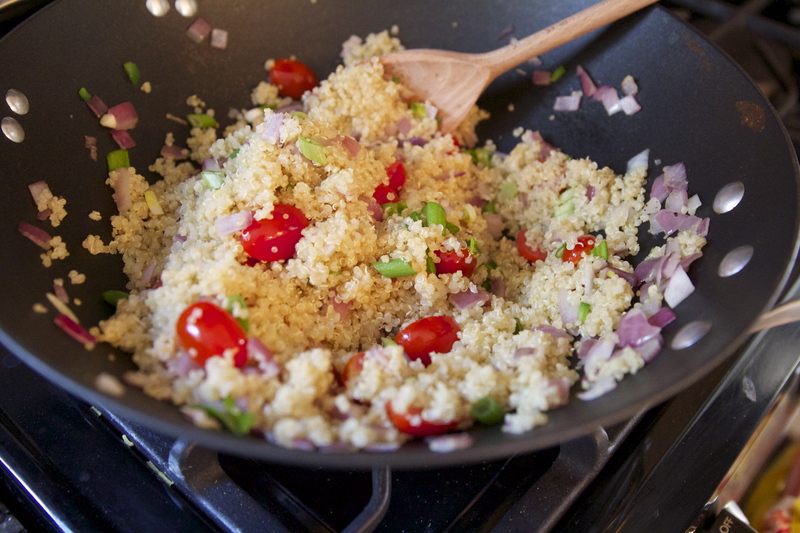 Combine 1 cup of uncooked quinoa that has been rinsed and strained, 2 cups of water, a pinch of salt, whole garlic clove, and a dash of olive oil in a pot. 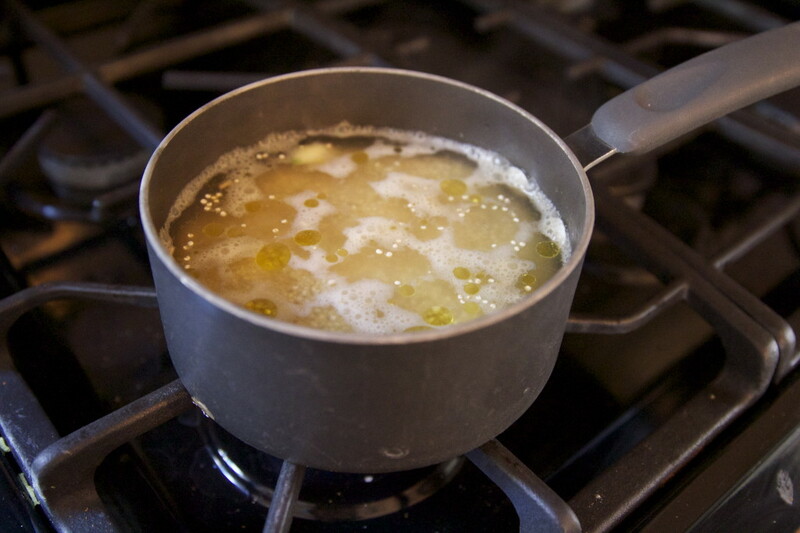 Bring ingredients to a boil, reduce and simmer with the lid on for 15-20 mins or until the water is completely absorbed. 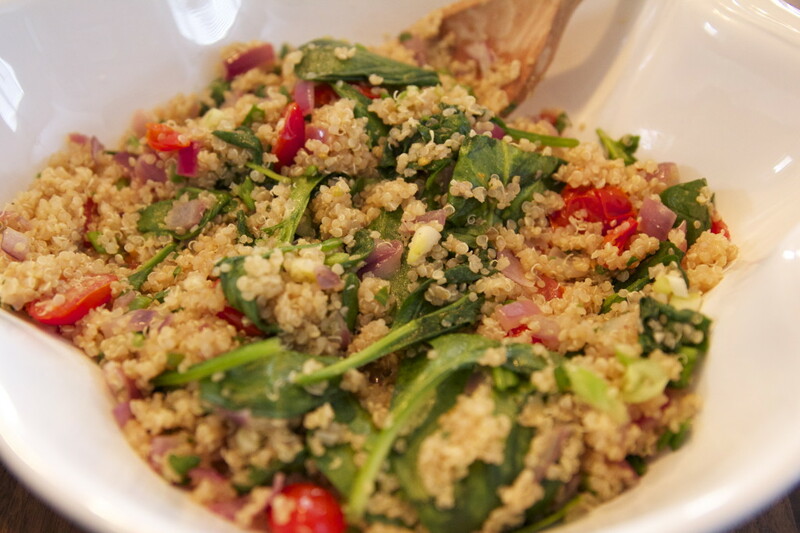 Fluff quinoa with a fork. Remove garlic clove and mince it for the next step. 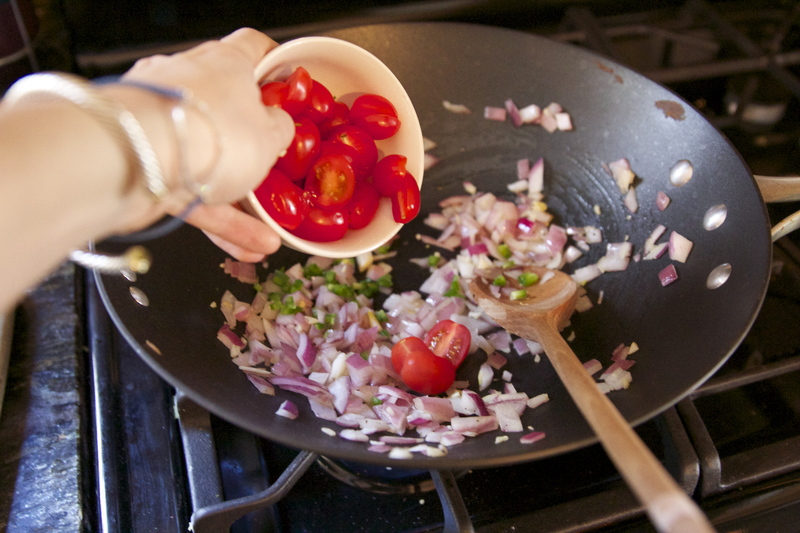 Drizzle olive oil in a large pan or wok and pour in your onions, garlic, a dash of salt and pepper. Stir and warm for a few mins until onions are translucent. Then add in the tomatoes and jalapeños and stir for one more minute. 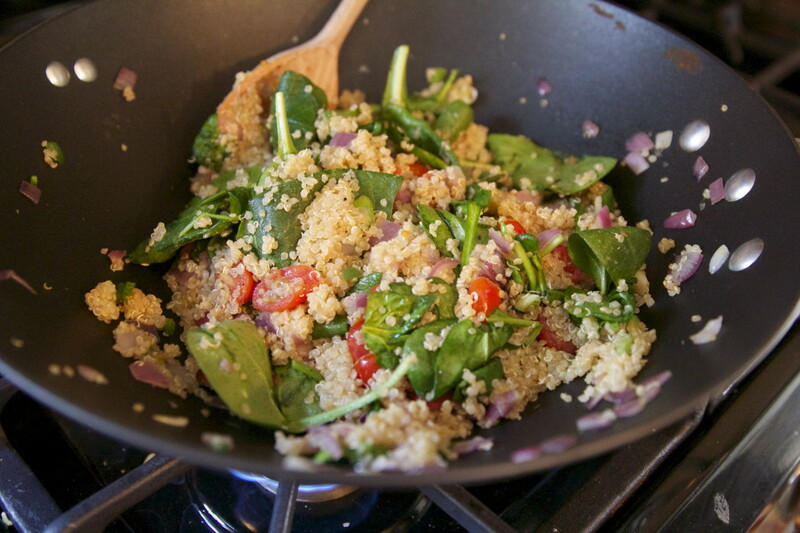 Add in the cooked quinoa and stir then add salt and pepper to taste. Last step is to add in the spinach, scallions, soy sauce, apple cider vinegar and lemon and stir until the spinach is just wilted. Will serve 3-4 people, enjoy!! 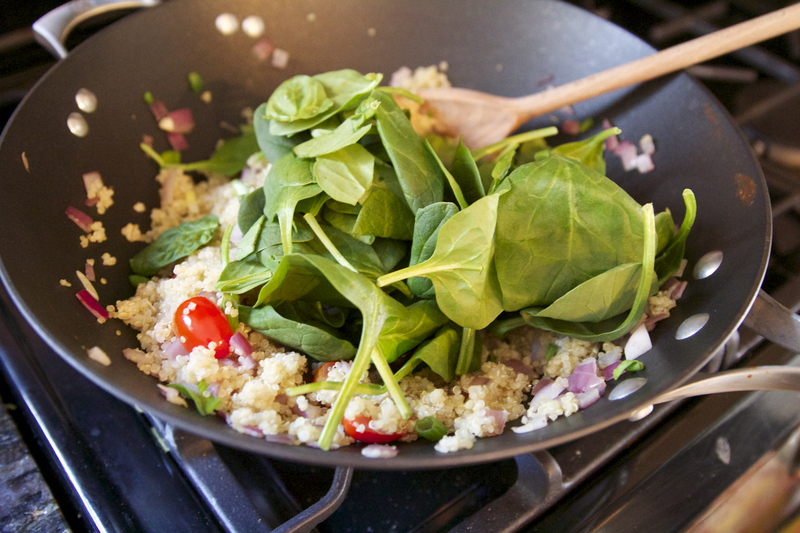 This dish should serve 3-4 people depending on if you are serving as a side or main dish. Pour into your prettiest serving dish and serve it up! This looks AWESOME! I can’t wait to make this!What camera do you use? Your pictures are so real looking! Hey Kaitlin! I have a Canon Rebel T4i and it’s really the lens that is doing all the work here. It’s the 24-70 by canon, seriously amazing. to ok, i’ll learn. Many thanks. PS, my own sorry. The english language is just not my personal primary words.